Welcome to the Finance area of our site! Whether you take out a loan or lease your new vehicle, it’s an important decision. Making an informed choice can save you a considerable amount of money. The choices are broader than ever, with various terms and rates, along with leasing programs. WOW Toyota of Wallingford’s finance professionals are here to guide you through the decision making process. Leasing offers an alternative to traditional financing with some key advantages. You can drive more car for less money; lease terms are typically shorter than car loans, so you can drive a new car more often. 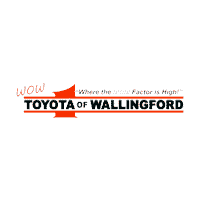 WOW Toyota of Wallingford is always running great Toyota leasing programs. We custom tailor the payments and terms, as well as give you the right amount of mileage allowance to fit your driving needs. Whether you live in the New Haven area, or anywhere in Connecticut, WOW Toyota of Wallingford has the lease for you. For the latest in available Toyota leasing programs, call us at 888-927-7559. Whether you’re buying a new or used vehicle, you want the best financing deal you can get without confusion and anxiety. WOW Toyota of Wallingford is here with competitive rates and affordable payments with various terms to make financing simple and worry free. Whether you’re buying the popular Camry or the versatile RAV4, we can make financial arrangements to suit your budget. Our philosophy is this: We combine selection, competitive pricing, affordable financing and excellent service to win your business. So why go anywhere else? WOW Toyota of Wallingford is your source for new and used Toyota vehicles with the best in service at a price that fits your needs. WOW Toyota of Wallingford’s Finance Department offers competitive interest rates and various terms to bring you an affordable payment. We know your vehicle can be a big expense and after making a good deal, you want to keep those savings when it comes to the loan. We finance buyers from throughout the New Haven area and across Connecticut. New or used, WOW Toyota of Wallingford can match you with the right car and with the right financing.